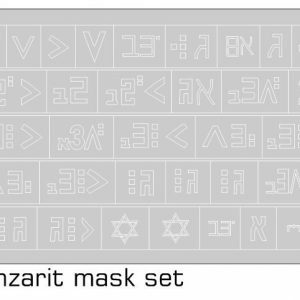 The set includes one sheet of masks (shown in the picture). 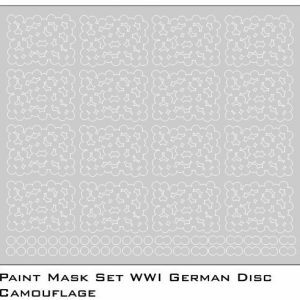 The masks are made from thin masking tape, which is easy to be peeled off and doesn’t leave any stains. 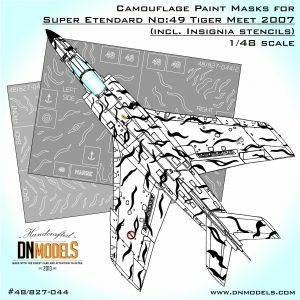 The tape is tested on clear and painted model too. 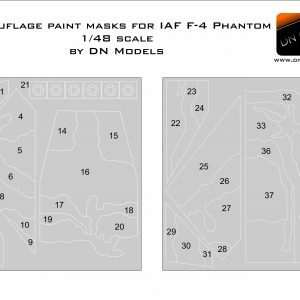 If carefully removed after painting, masks can be used over and over again. 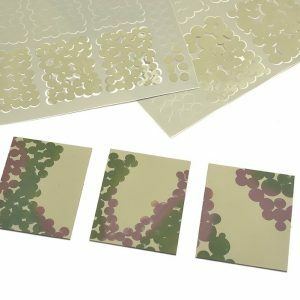 The material is flexible and easily applied over curved surfaces. 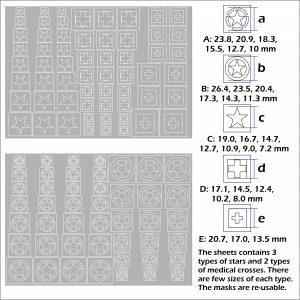 Semitransparent for easy and accurate placing. 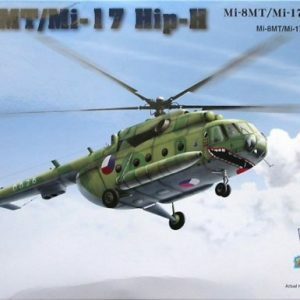 is one of the most distinctive attack helicopters in the World. 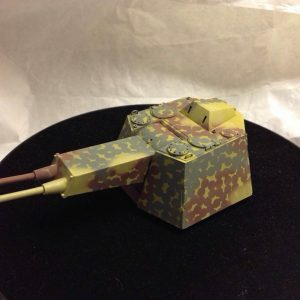 In 48th scale the only kits available are Revell, Monogram and Mini Hobby Kits. 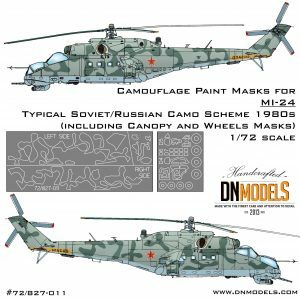 Despite its popularity there is no contemporary tooling of Mi-24 Hind in quarter scale. 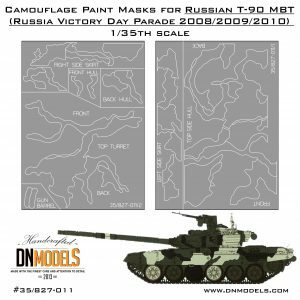 However, even old, 48th scale kits available are a good addition to 72nd and 35th scale versions from Zvezda/Revell and Trumpeter. 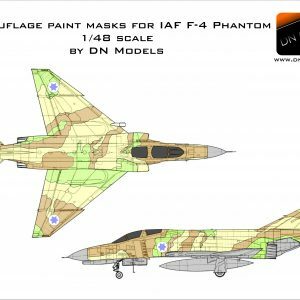 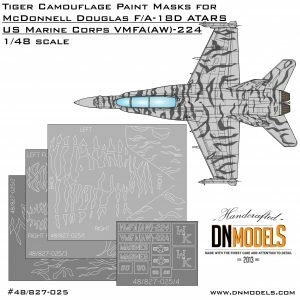 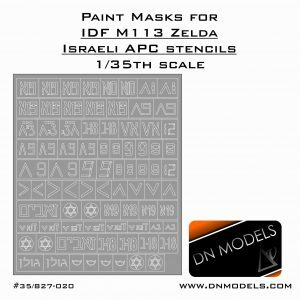 Tiger Camouflage for 72nd and 35th versions is available from DN Models and this adds to the line of Hind masks. 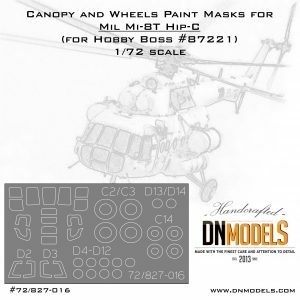 The set is designed for quarter scale Hinds available currently on the market. of the Mil Mi-24 Hind is one of the most attractive camouflage scheme applied on this attack helicopter. 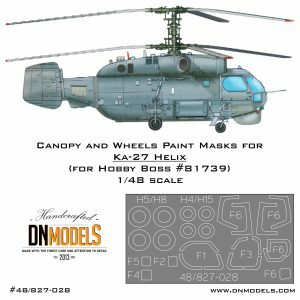 Alongside with Alien camouflage scheme, those are the two most famously painted rotor-craft of the the former Warsaw pact. 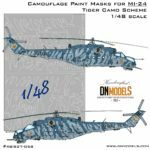 Tiger camouflage scheme is used on the boxart on many Mil Mi-24 Hind scale models due to its stunning appearance and aggressive looks.